In anticipation of The Nearsighted Owl's I am Proud of My Size linkup I have included my size in this post. once again I would like to say that I love participating in this and admire Rachele and the other ladies that have been working on this every week. I had a phone interview today (so I decided to wear interview clothes to work even though they couldn't see me, weird I know) and I was super nervous until after it was over. I really dislike interviews, I always get so worked up and then stumble on my words. It is like herding cats trying to get my thoughts in order. Then I analyze everything I said afterwards and come up with really good answers that would have been so much better than what I managed to get out. It was also super awkward because they were writing down what I was saying so there were long pauses full of silence. I'm sure if I had been in the room it would have been a little better, at least then I could have judged their reactions. They always ask you situation questions too, which I sometimes find really hard to answer. If it happened I would be acting in the moment, and I would be able to judge all of the details of the situation to determine a solution. But you don't get all the facts with the interview ones and then I have to wrangle a generic answer. I think it went pretty well, and I am really grateful to have had an interview. If I get the job I think it will be a super fun place to work. I will find out next week, so fingers crossed. 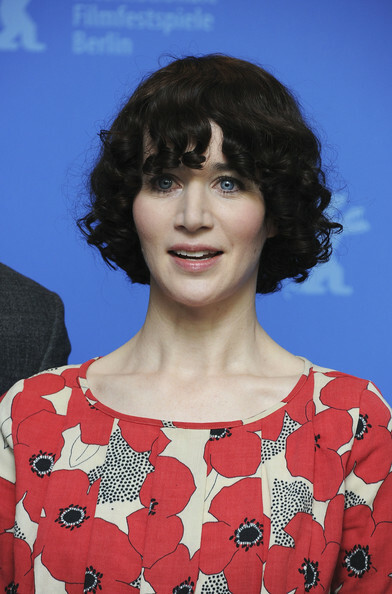 but with shorter bangs. I haven't gone that short in a while, but it is so much easier to deal with short hair, and I can make it as giant as I want (or it can be as giant as it wants, it has a mind of its own) and it still looks decent. I still have some time to mull over this, but I want to get it cut soon after I get home. I enjoyed this post so very much! I related to the phone interviews...good luck BTW. I agree that short hair is more easier to take care of, I know I LOVE my short hair! I think you will look fab in that haircut (can't wait to see it on you). Tootles! Thank you! I think most people don't enjoy interviews but some people must be good at it or else no one would be getting hired. It always seems like the wrong people are being hired though, haha. As for the haircut, I might go even shorter, who knows, but I will definitely post some pictures once it happens. Thanks for reading!